Folded to Perfection. Digital Creasing Equipment. Nearly every print shop relies on basic finishing equipment to complete its work. A variety of finishing solutions offer creasing functions for applications like covers, business cards, and newsletters. Creasing devices provide accurate paper folding without cracking or damaging the paper. The devices are offered as standalone solutions as well as multi-purpose solutions that also offer die-cutting, slitting, and gluing capabilities. Digital creasing equipment prepares paper by creating folding points. Creasing significantly reduces or eliminates cracking at the fold for digitally printed applications while improving appearance and quality. Christopher K. Van Pelt, president, Therm-O-Type, says print service providers (PSPs) use creasing equipment to modify the structure of the paper along a line that allows the paper to be accurately folded without cracking the exterior paper fibers at the fold. Applications like booklets, brochures, greeting cards, folded business cards, newsletters, perfect bound covers, pocket folders, and tent cards often require creasing. “An application that will be folded after it is printed requires creasing,” confirms Joe Bondonna, product manager, Spiral. 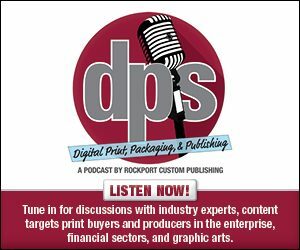 Ray Hillhouse, VP of sales and marketing, Morgana Systems Limited, part of Plockmatic Group, agrees and believes that all digitally printed material, especially items printed with toner, should be creased because it’s susceptible to cracking when folded. “Even some heavy or cross-grained paper will crack when folded—even unprinted stock,” he offers. Today’s digital creasing solutions are efficient and user friendly for unskilled operators. While improving durability and appearance, they can speed up production times. According to Will Frank, marketing specialist, Standard, for longer runs on jobs folded offline, digital creasers allow the folder to run at a higher speed by creating the fold in parallel. Features like optimized paper paths and specialized rollers make creasing suited for digitally printed output. Hillhouse believes an easy paper path through the machine reduces the potential of marking the sheets. Additionally, specialized rollers handle digitally printed materials. According to Bondonna, creasers use a two-piece male and female die system that create a U-shaped channel. The system de-bosses the paper while toner sits in the same position on the paper—creating a hinge point that allows it to bend without cracking the toner. Kevin Chen, product manager, Duplo USA Corporation, adds that creasers are suitable for digitally printed output because they utilize a matrix style crease mechanism that increases paper flexibility when a fold is needed by applying pressure to the paper to create a channel-style crease. “This type of scoring is similar to an embossing and weakens the paper fibers,” he explains. As digital print grows with new capabilities for short-run, on-demand applications, the risk of toner cracking rises as well. “Digitally printed products stand an even greater risk of cracking at the fold because the process involves heating the sheets to fuse toner to paper, which tends to dry the paper out,” comments Chen. “If a creaser is purchased to run a single product, format, and type of paper, customers may choose to buy a creaser that fits a narrow application, without requiring a full range of features and capabilities,” says Van Pelt. For creasers purchased to run the widest possible range of products, formats, and papers, it’s important to select a device with a wider range of features and capabilities. Other considerations include throughput speed, crease accuracy, and crease depth control. According to Van Pelt, creasers with a full-length alignment table are more capable of eliminating paper skew. It’s also important to determine if the creaser is suitable to run a range of uncoated, coated, and laminated stocks. Creasers are used in conjunction with folding equipment but are generally separate devices. Sheets are usually creased and then folded to provide a blemish-free product. Folding equipment is used to customize paper into folded brochures, mail, and letters. However, it poses potential risks for cracks in the ink. “The issue with folding digital printed stock without creasing is that the toner will crack along the folded area that has been folded, causing unsightly imperfections,” says Bondonna. Scoring is an alternative to creasing. The process reduces paper stiffness along a line by weakening the sheet to aid in folding. Scoring equipment is generally aired and includes a rotary scoring wheel. The wheels are in constant motion to score at high speeds. “It is much faster than creasing, as the sheet does not need to stop during the process,” says Frank. Unlike creasing, rotary scoring is done in the direction of the feed and the number of score lines across the sheet doesn’t affect productivity. Creasing is performed across the direction of the feed and the sheet must be stopped for each creasing line applied. Rotary scoring is usually preferred for folding on offset printed jobs on light to medium weight paper stocks. However, heavier papers are susceptible to splitting and fiber cracking, which is why some opt for a creasing device. Frank says that even with offset printed jobs, when printing on heavier weight substrates it’s often preferable to pre-crease the stock along the fold lines if it is a cross-grain fold. “Creasing is generally accepted as the most reliable way to create a high-quality fold line on the widest range of papers without cracking,” says Van Pelt. He says this is true when compared to older rotary scoring technologies that use metal upper and lower scoring hubs. By using newer scoring tooling technology, Van Pelt says rotary scoring is on a close par with creasing. Programmable creasing equipment offers the ability to apply multiple creases on a sheet in a single pass by programming the position for each crease. With rotary scoring equipment, Van Pelt says multiple sets of rotary scoring tooling would need to be purchased, installed, and manually adjusted to apply multiple scores to a sheet in a single pass. “The ability to quickly and easily program and apply multiple creases is a huge advantage over rotary scoring equipment, especially when running a large volume of small quantity digital orders,” says Van Pelt. Programmable creasers also apply multiple creases with minimal spacing between each crease. He believes this capability would be impossible to duplicate with standard rotary scoring tooling. “Scoring is typically ploughing an indent on the paper surface and will not often put enough pressure onto the paper fiber to prevent cracking when folding,” says Hillhouse. Using a scoring method to prevent toner cracking can also cause boat waking. “Rather than have irregular cracks in the toner, you will see cracking, but they will appear in the image like the wake of a boat,” explains Bondonna. Creasers for digitally printed output are available as standalone devices or part of a multi-purpose solution. They are either offered in manual or high-speed air feed production configurations. PSPs select the type based on production needs. Standalone creasers generally operate faster than creasing speeds in multi-function devices. Hillhouse suggests PSPs seeking high volumes of creased and folded products consider standalone devices. However, if a complex combination of cuts and creases is desired, a multi-purpose solution may be best. Multi-purpose solutions have the capabilities to crease, fold, slit, trim, and perforate. Some also offer added features like blind embossing, die cutting, cross perforating, strike perforating, hole punching, and bindery punching. Multi-purpose devices also include feeders, registration tables, creasers, and guillotine cutters. Van Pelt adds that while using a multi-purpose solution, programs for various product formats are stored and retrieved, simplifying operation and reducing equipment to setup time for different product formats. “Small products, like fold-over business cards, can be cross cut, slit, and creased efficiently,” he adds. Before purchasing a creaser, PSPs should obtain the same basic information for any application-driven equipment. This includes thickness, sheet size, volume, and exact applications. “That basic information provides a starting point to find the correct tool to meet the shop’s requirements,” says Bondonna. Hillhouse agrees but says that the sheet size and the output volumes are the most important factors. “Many of our customers have both multi-function devices and a high-speed creaser, or creaser/folder, which gives them all they need in the production workflow of a busy shop,” he offers. On heavier stocks, Frank says the crease line should be opposite the direction of the fold while a crease in the same direction of the fold may yield better results with lighter stocks. He suggests PSPs consider a solution that provides up and down creasing in a single pass to avoid the need for multiple passes through the machine. Once sheet size and work volume are taken into consideration, print providers can incorporate secondary finishing operations, lifecycle costs, intuitive controls, adjustments, and safety and reliability. Van Pelt recommends that representative samples should be test run before purchasing a creaser or any digital finishing equipment. Creasing equipment is available as standalone or multi-purpose devices. The Duplo USA DC-616 Pro Slitter/Cutter/Creaser is a multi-purpose creaser with speeds up to ten sheets per minute. Its maximum dimensions are 63x25x42 inches and it features slit/cut/creasing capability, a CCD scanner, PC Controller, and a perforating unit. “The DC-616 Pro processes up to six slits, 20 creases, and 25 cuts in a single pass, bringing efficiency and automation to your post-press operations,” says Chen. Martin Yale offers the FC114ASP Digital Numbering, Creasing, and Strike Perforating machine. It delivers CAM actuated compression creasing with two crease widths. Its two-sided die-creasing rod accommodates heavier stock by removing and flipping over to change from narrow to wide crease. MBM Corporation’s GoCrease AutoAir is an automatic suction feed creasing, perforating, and punching machine with speeds up to 3,000 square feet per hour (sf/h). The GoCrease AutoAir includes a seven-inch color touchscreen and an air feed system that creases paper within 80 to 400 gsm. MBO America provides the 281 cutting unit from Herzog & Heymann. An adaptable cutting machine, it performs many functions with the appropriate knife including creasing, perforation and edgetrim. Morgana Systems offers a full line of creasers that range from desktop hand machines to automatic feed high-speed devices. Released in 2010, Morgana’s AutoCreaser Pro 33 and Pro 50 is are standalone high-speed creasers. The devices print 8,500 8.5×11-inch sheets per hour (sph) in single crease and over 10,000 sph for perforation. The AutoCreaser Pro 33 handles sheets up to 27.5×12.9 inches while the Pro 55 handles 27.5×19.6 inches. According to Hillhouse, the device is easy to operate, includes touchscreen controls, and can be setup with one sheet of paper. Among its product offerings, Spiral provides the AccuCreaser KF Creaser and Knife Folder, released in October 2016. It is a multi-purpose creaser, perforator, and folder. The device creases up to 5,500 sf/h, perforates up to 12,000 sf/h, and folds up to 4,600 sf/h. It handles sizes up to 18×24 inches and has the ability to fold up to 350 gsm paper stock. Standard Horizon provides several creasing solutions, all of which perform multiple functions. For example, the CRF-362 Creaser/Folder handles creasing and folding in one pass for accurate processing of applications like menus, greeting cards, book covers, and marketing materials. The device has a maximum sheet size of 14.33×34 inches and handles weights from 80 to 400 gsm. It is configured with seven selectable fold patterns and six selectable cover creasing patterns for perfect binding including spine, hinge, and flap creasing. “Standard’s creasers allow short runs to migrate to digital from offset with noticeable effect on quality and no cracking of the image,” comments Frank. Therm-O-Type’s Zip-TS2L is a multi-purpose cutter, slitter, and creaser that features an offset press style high-capacity feeder, full-length alignment table, skew controls, and up to three cross sheet tooling functions. The Zip-TS2L is capable of performing a range of tasks, including cross cutting, inline slitting, scoring, perforating, and kiss cutting. It handles a minimum tag size of 1×1.7 inches using standard tooling. The Zip-TS2L Mark IV is available for $84,900. Technifold USA offers the Tri-Creaser EZ-Fit. The machine features three color-coded creasing ribs with different height profiles to handle stock from 90 lb. text and up. It produces multiple crease settings for a variety of print and stock combinations. Applications that require folding are creased to avoid toner cracking. Creasing devices are offered as standalone and multi-purpose solutions and are selected based upon creasing speeds and needed functions. Before choosing a creasing solution, PSPs should determine what applications they will produce to find the best tools to meet their requirements.